Includes 9 Items: Stronghold Crusader 2, Stronghold Crusader 2: Delivering Justice mini-campaign, Stronghold Crusader 2: Freedom Fighters mini-campaign, Stronghold Crusader 2: The Emperor and The Hermit, Stronghold Crusader 2: The Jackal and The Khan, Stronghold Crusader 2: The Princess and The Pig, Stronghold Crusader 2: The Templar and The Duke, Stronghold Crusader HD and Stronghold Kingdoms Starter Pack. 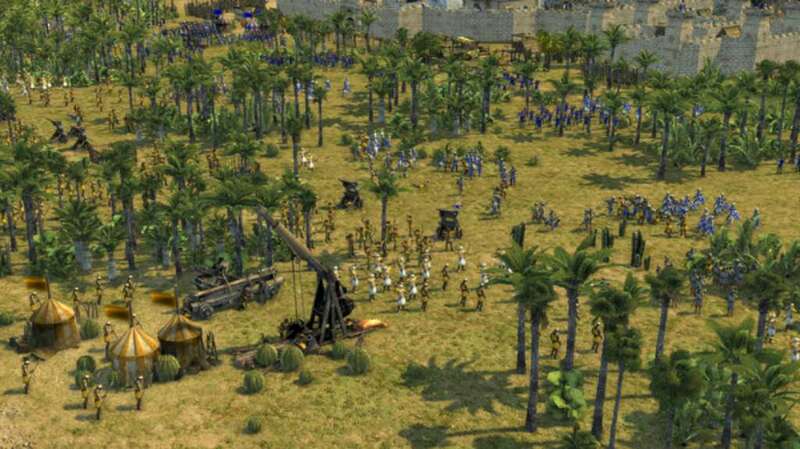 Stronhold Crusader HD - Journey to distant Arabian lands renowned for brave warriors and fearsome weaponry in Stronghold Crusader HD. The highly anticipated sequel to the best-selling Stronghold, Crusader throws you into historic battles from the Crusades with fiendish AI opponents, new units, 4 historical campaigns and over 100 unique skirmish missions. Stronghold Crusader 2: The Princess and The Pig - Blow the horn, bang the drum, The Pig is coming to town! The Princess & The Pig DLC resurrects one of four central antagonists from the original Stronghold (2001) in a brand new Crusader Trail, while also introducing a completely new character in the form of the noble Princess. The first piece of downloadable content available for Stronghold Crusader 2,The Princess & The Pig adds seven missions, two AI opponents, 10 achievements and new castle designs unique to The Princess and The Pig. Stronghold Crusader 2: The Jackal and The Khan - Their horsemen ride like thunder across the plain, like the kings of old! The Jackal & The Khan DLC adds an additional Crusader Trail campaign and a duo of new AI opponents. Two men destined to lead their forces across the wilds of the desert plain, The Jackal and The Khan are outcast warriors forced to survive on their wits and the loyalty of their men. Both nomads in their own way, the animalistic Khan and the fearless Jackal represent the ultimate challenge for Stronghold players. The latest character pack DLC for Stronghold Crusader 2,The Jackal & The Khan adds nine new missions, two AI opponents, achievements, custom in-game shields and castle designs unique to these new Lords. Stronghold Crusader 2: The Templar and The Duke - The law of the Templar is coming to the desert! The Templar & The Duke DLC adds an extra Crusader Trail campaign and new AI characters, two Crusaders with contrasting origins, values and strengths. One is a brutal newcomer who embodies the Crusades' nebulous motivations, while the other stands as successor to King Phillip from the original Stronghold Crusader (2002). Both men desire a glorious victory in the Holy Land, with The Templar seeking to cleanse the holy land of heretics and The Duke hoping to emerge from Phillip's shadow and make his mark on the world, ideally without suffering too many casualties! The third expansion for Stronghold Crusader 2, The Templar & The Duke adds seven missions, two AI opponents, 10 achievements, five custom shields and new castle types unique to these new Lords. 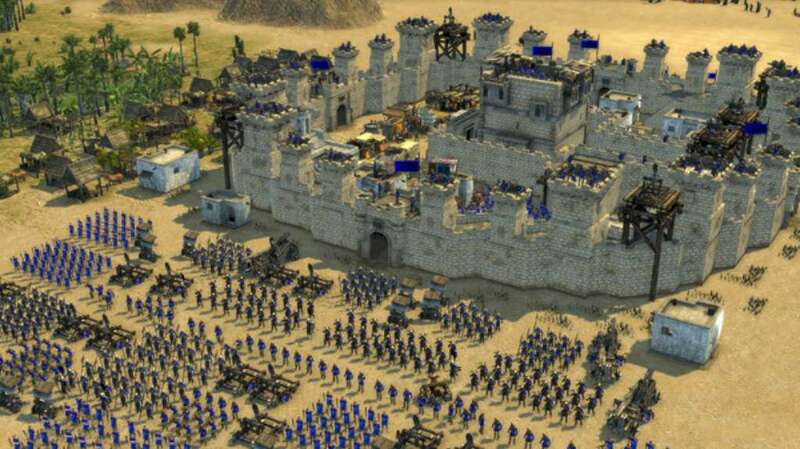 Stronghold Crusader 2: The Emperor and The Hermit - The Angel of Death hovers over your castle! The Emperor & The Hermit DLC introduces two extra AI opponents and an all-new Crusader Trail campaign. Spiritual successors to The Emperor and The Abbot from the original Stronghold Crusader (2002), The Emperor and The Hermit are driven by religious fervour. Backed by zealots who follow their cause without question, be it just or corrupt, both leaders represent a dangerous new threat to all sides in the Crusader conflict. The next expansion for Stronghold Crusader 2, The Emperor & The Hermit adds seven missions, two AI opponents, 10 achievements, additional player shields and new castle designs unique to The Emperor and The Hermit. Stronghold Crusader 2: Freedom Fighters mini-campaign - Stay away from my lands, infidel! 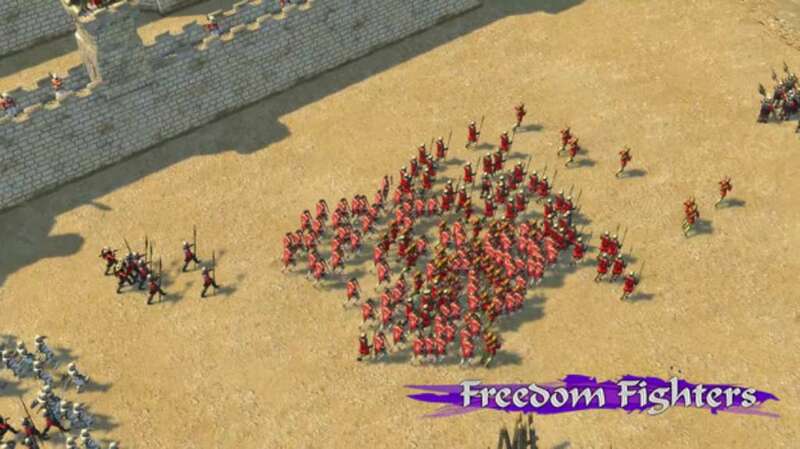 Stronghold Crusader 2: Freedom Fighters casts you as a fearless Arabic Lord set on taking the fight back to the invading Crusader hordes. After defending Saladin’s peaceful farmland from cowardly Crusader skirmishes, you must enlist the aid of The Shah and counterattack! 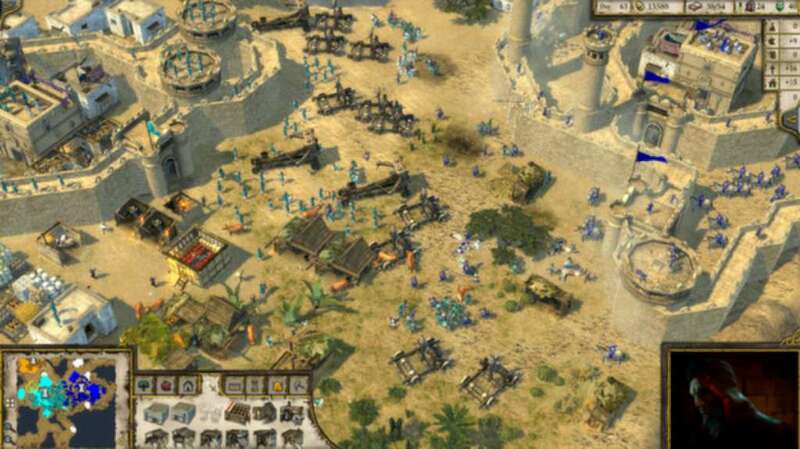 Once the Crusaders have been lured out of their castle and into the desert you will land the killing blow, launching an assault on the mountain camp where they make their last stand. Stronghold Crusader 2: Delivering Justice mini-campaign - The sons of pigs have me surrounded... Send me your fastest men! Stronghold Crusader 2: Delivering Justice casts you as one of the few remaining honourable Crusader Lords. Fighting to maintain order and prevent further bloodshed in the Holy Land, you must protect vulnerable Arab merchants, fend off raiding parties and capture an enemy castle on the path to Jerusalem. While keeping rogue elements in line and maintaining the peace, players will also settle the score with an old enemy in disguise.